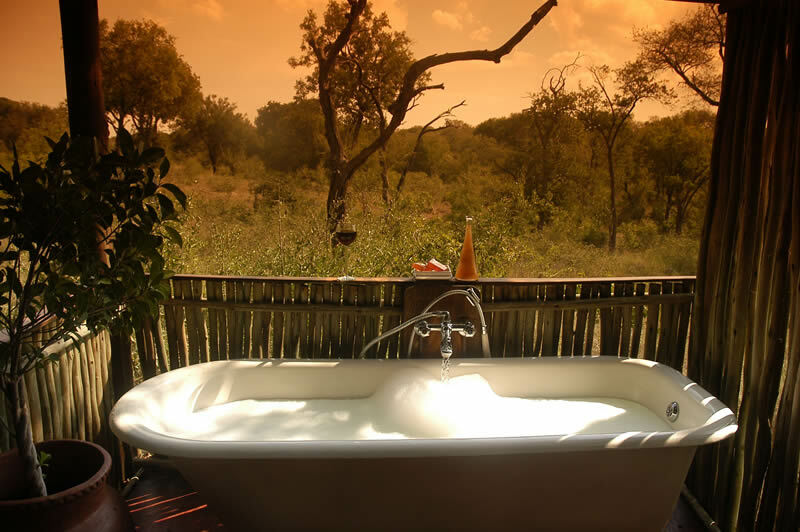 “Thornybush was also great. The kicker being we booked the whole place out. Game viewing was excellent too. We had great sightings on every drive. Saw the big 5 in 1 day, including a lioness with a 9month old cub, female leopard with 2 5month old cubs. black & white rhino & the list goes on. We also had great game viewing from the hide in camp. With it being so dry, the animals were flocking to the tiny waterhole there. Saw large & small herds of elephant, buffalo’s etc. 2 young males broke through the gate the 1 day and drank out the pool which was pretty cool. We haven’t downloaded pics yet, but we’ll definitely forward any worth sharing.